A comedy game of construction site chaos set in Cleopatra’s Ancient Egypt. Empress your friends in the original sandbox! Cleo’s Lost Idols is a unique and whimsical game in which players must restore Empress Cleopatra’s misplaced statues. 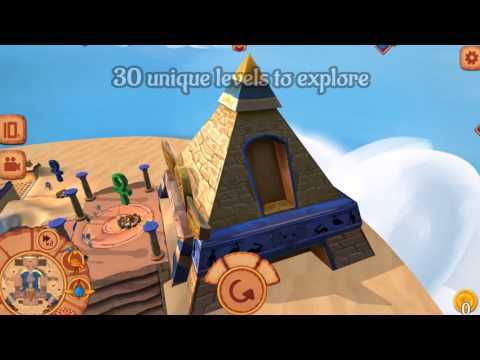 Set in a comedic Ancient Egypt, this construction site chaos is the ultimate Sandbox game! Direct your workers by giving orders and manipulating physics obstacles: move boulders, push blocks, avoid fire traps and dodge the swinging spikes. Don’t let Cleopatra give you the Needle! Across over 25 tricky levels, there’s emergent gameplay and comedy outcomes to create: buildings to wreck, crates to smash, coins to collect, even a hot tub! Your workers are, let’s be honest, a bit dumb – they forget where to go, get themselves burnt, drowned or even catapulted off the edge of the world! It’s your job to show them how to fulfil Cleopatra’s wishes; keep on sending more of the little fellas until they do. Alternatively just smite them down with fire and lightning! It’s your management style, so your choice! The fate of the workers, their antics and even avoiding the clutches of Sobek the Crocodile God are all there to make us laugh. Cleo’s Lost Idols has a deeply ingrained video mechanic, enabling you to make, edit, share and watch gameplay videos, right within the game; no video expertise required! Upload your videos to YouTube, get them liked, and watch yourself climb the rankings in the game’s video leaderboard. Enjoy other people’s clips too. Watch their workers fail to complete their orders in spectacular fashion, see their cunning solutions to getting the statue pieces restored, speed-run the levels or getting that last coin you didn’t even know existed. Cleo’s Lost Idols is a comedy strategy game about monumental construction in Ancient Egypt; not so much a pyramid scheme as an oasis of streaming fun as wide as the Nile!